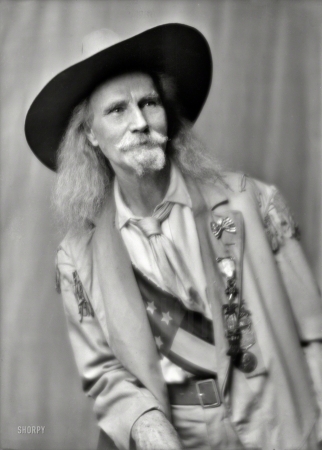 John Wallace "Captain Jack" Crawford, celebrated Wild West storyteller and "Poet Scout" of the Civil War, two years before his death. 5x7 glass negative by Arnold Genthe. Oct. 13, 1915. "Crawford, Jack, Captain, in costume."